After months of rumors and leaks, Samsung and LG finally launched their new flagship smartphones yesterday, one day prior to the official start of the Mobile World Congress 2016. The Galaxy S7 duo boasts a couple of new features, while the LG G5 has… friends? Keep on readin’ for details. While the changes in design and specs are minor, there are two major ones found in the S7 and the S7 Edge: the IP68 certification (water- and dust-resistance up to 1.5 meters and 30 minutes) and the much-needed microSD card slot which allows Galaxy S7 users to expand the storage on their phones up to 200GB. It’s everything Galaxy fans wished for and more, and two important features that were missing from the S6 duo. 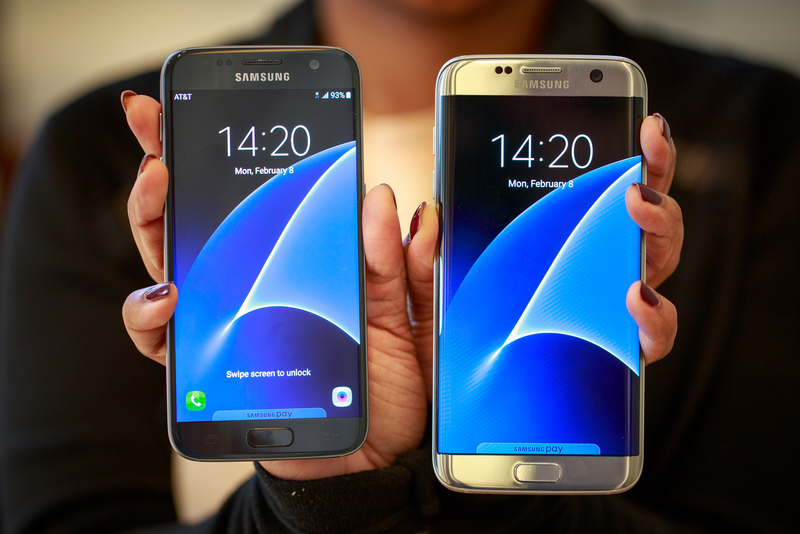 The Samsung Galaxy S7 and the Samsung Galaxy S7 Edge have a lot of other things in common, too: a Snapdragon 820 processor (in some parts of the world, they will ship with Samsung’s Exynos processor), 4GB of RAM, 32GB of built-in storage, a 12-megapixel rear camera, and a 5-megapixel front one. They both run on Android 6.0 and offer Wireless Fast Charging, dual-band Wi-Fi ac, Bluetooth v.4.2, NFC, and USB 2.0. The main difference between them is in their displays (the S7 with a 5.1” one, the S7 Edge with a 5.5” screen) and batteries (3000mAh vs 3600mAh). Both will be available in black, white, gold, and silver. LG has decided to go all out this time around. Not only does the G5 offer a better processor (Snapdragon 820), more RAM (4GB), a 5.3” always-on display, and built-in storage expandable up to 200GB, but also a somewhat modular design. By pressing a button on the side of the phone, you can pull out the bottom module with the battery and switch it with another one, for example the camera module or the hi-fi module. Our guess is that, if this design receives positive feedback, LG will work more on it and develop it further. The company’s also launched a couple of “friends” along with the LG G5, all of which make your user experience more fun and convenient. They include a Rolling Bot in the shape of a ball, a VR headset, and a 360-degree camera in action. It’s, without a doubt, a brave and interesting move on LG’s part, but we’ll just have to wait and see how users will react to all of these. 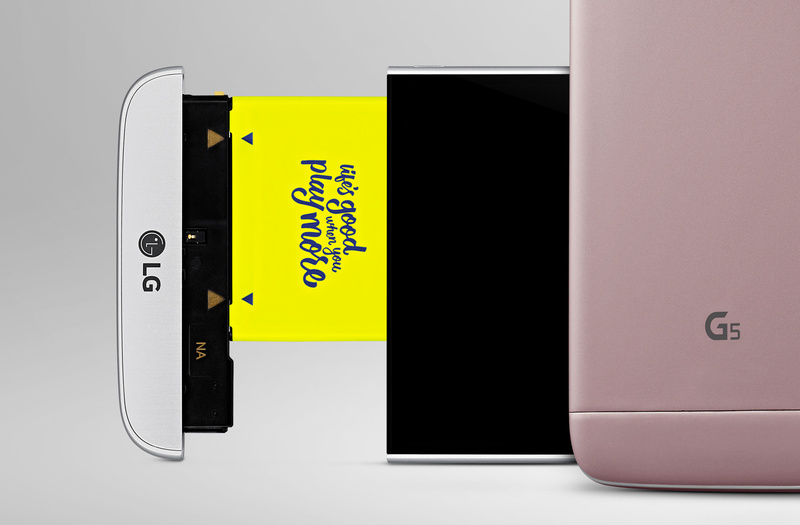 The LG G5 will come in silver, titan, gold, and pink, sometime in March. 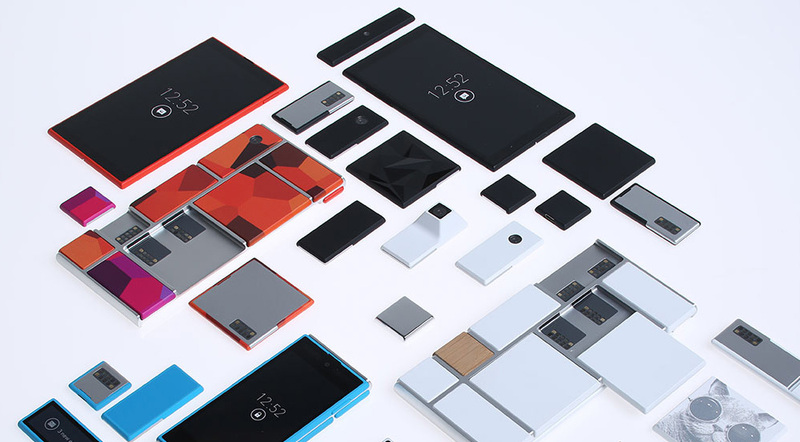 If you follow the world of technology closely, then you are most certainly familiar with the term modular smartphones, Google’s Project Ara, PuzzlePhone, and Fairphone. The idea of creating your own, unique handset via interchangeable parts (the so-called blocks) has become highly appealing to users worldwide over the past couple of years and, according to a number of people, presents the future of mobile phones. Naturally, with the rise of wearable devices also came the question: what about smartwatches, could they go modular, too? A London-based team of PHD students (mechanical engineering and computer sciences) not only seem to think so, but have actually built the world’s first modular smartwatch called simply BLOCKS. BLOCKS offers all the features you would expect from any other smartwatch out there thanks to a fully functional watchface (Core): notifications, activity tracking, voice control, etc. However, its most important and interesting part has to be the wrist strap. The strap is made of several Modules, each of which comes with a function of its own, meaning that you can select those that work the best for you and connect them into your perfect smartwatch. The best part about this? It only takes you seconds to assemble your BLOCKS watch. 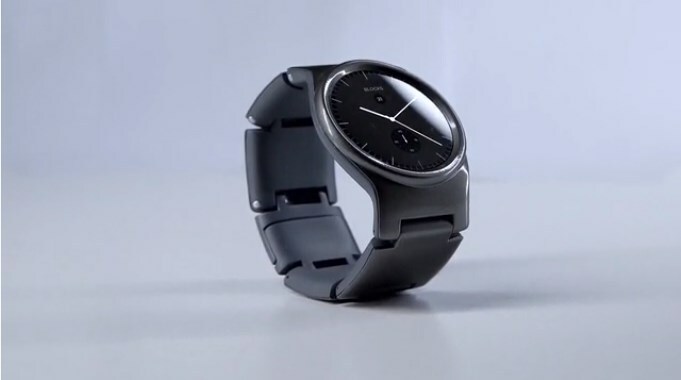 The team behind the BLOCKS smartwatch says that they have already developed a number of modules (extra battery, heart rate, NFC contactless module, etc. ), but that a lot more will come in the near future, including stress levels module, camera module, expansion module, and so on. And isn’t that what everyone wants to hear? According to its website, the wearable’s OS is based on the latest version of Android and it’s completely open-platform OS. 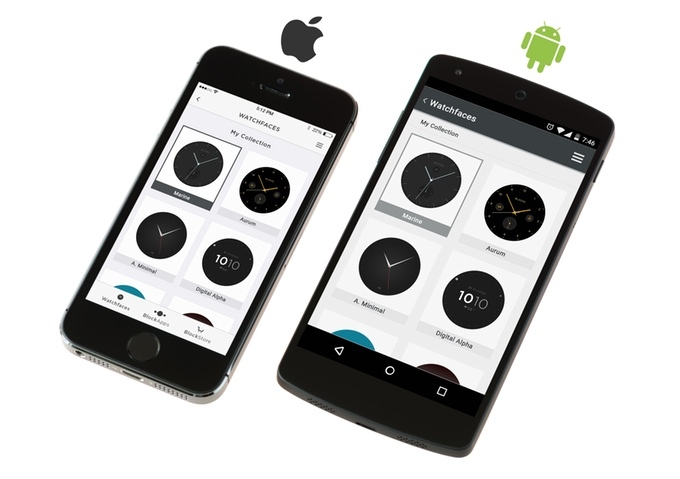 This means that the possibilities of customizing your watch are limitless, and thanks to the BLOCKStore, developers and companies alike will be able to build their own Modules and apps and you, as a user, will be able to get them with a single click and upgrade your watch. What we also liked about BLOCKS is the idea that you will be able to talk to other users and exchange your old Modules for theirs. BLOCKS will work with iOS 8 and higher (iPhone 4s and newer models), and Android 4.0 and higher, so you don’t need to worry about compatibility issues. You can find out more about BLOCKS on its official Kickstarter page, where it has already passed its $250,000 goal. We definitely found the entire concept interesting, so we do believe that all of you smarwatch lovers will, too. If you have the time, be sure to share your thoughts about the watch with us in the comment section below! “It’s been an incredible year for Apple”, said Tim Cook, CEO of Apple, at the beginning of the company’s keynote yesterday. And what a keynote it was. During this fast-paced event, packed with information, the Cupertino giant talked about the Apple Watch and iOS 9, took the wraps off the Apple TV, and, of course, unveiled the latest additions to its iPhone and iPad families. The iPhone 6s, the iPhone 6s Plus, the iPad Pro, and the iPad mini 4 are the talk of the town right now, so let’s see what’s so interesting about these brand new Apple devices. 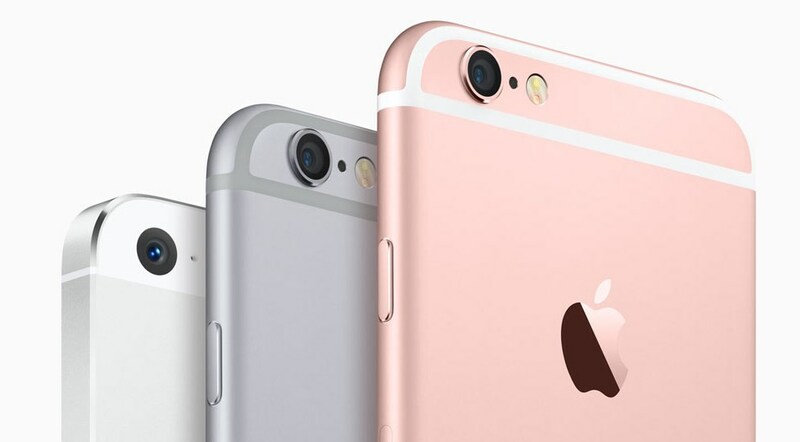 The moment you lay your eyes on the iPhone 6s and the iPhone 6s Plus, you’ll notice that there is something awfully familiar about the two devices. Seconds later, it will come to you – the design is the same as the one their predecessors sport! That’s right, Apple used the same sleek look of the iPhone 6 and 6 Plus for its new handsets, but before you start judging them how they didn’t try to spice things up a bit at all, we should mention that the phones are using a new aluminium – Apple’s own custom alloy. There’s also the fact that the phones will be available in, not three, but four colors this time around – Gold, Silver, Space Grey, and Rose Gold. So, there are design changes – they might be small, but they are there. Moving on to iPhone 6s and 6s Plus displays. Both phones retain the 4.7” and 5.5” screens, respectively, but they are now covered with an Ion-strengthened glass which was also used for the Apple Watch Sport. While that’s all fine and dandy, the real star of the yesterday’s show was definitely the new 3D touch technology we’ve been hearing about for months. Namely, the displays of the latest iPhones are now pressure-sensitive, meaning that you get to perform different tasks on your handset depending on how much pressure you apply to its screen. 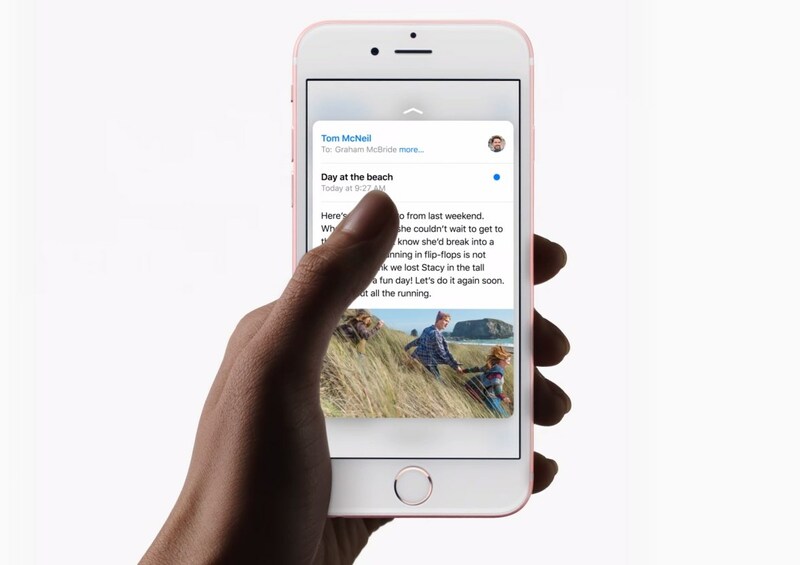 You can swipe, tap, and slide on your iPhone 6s or 6s Plus to your heart’s content, but what you can also do, thanks to 3D touch, is “peek” and “pop”. This means that, for example, you can have a simple glance at a message when you don’t have enough time to read it (just press on your screen lightly – peek) and then, once you do have the time, you can open the Message app to read everything through (you apply more pressure – pop). We will remember the Keynote from September 9 for years to come. Why? Because it’s the first time Apple has bumped up its camera’s megapixel count since the iPhone 4S back in 2011. The new 12-megapixel iSight camera shoots photos with a resolution of 4608 x 2592 pixels and, for the first time in Apple’s history (a lot of firsts here), 4K videos. Apple also said that the rear camera would boast improved autofocus, but what makes things really interesting is the new Live Photos feature which allows you record a short video clip with every photo that you capture (turned on by default, captures a second and a half before and after each photo). The front camera also got an upgrade – there is now a 5-megapixel shooter intended for selfies above the phone’s display and it’s got is own flash, too. 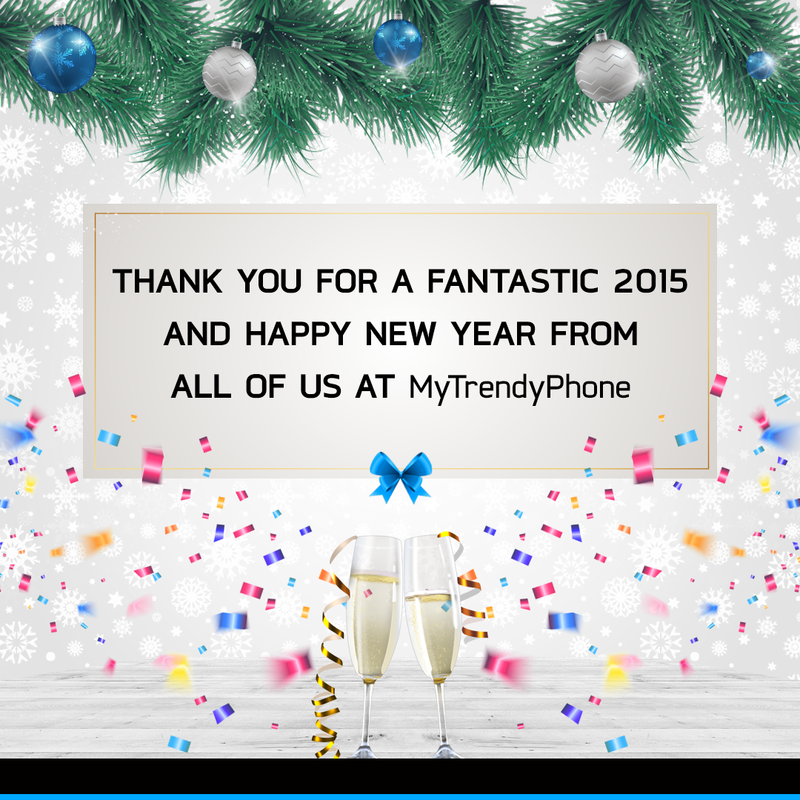 Technically, it’s not a real flash – the phone’s display becomes really bright in the moment of taking a photo. Both iPhones are powered by Apple’s new A9 chipsets, which the company promises will offer a faster performance, boast three storage options (16/64/128GB), and should arrive with faster Wi-Fi and LTE speeds. The handsets will become available to the public on September 25. 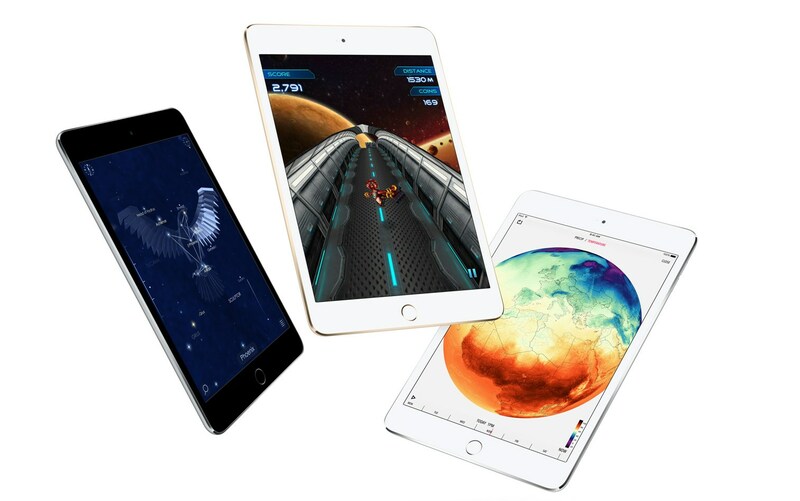 Aside from the iPhone 6s duo, Apple also revealed the next tablets in its iPad lineup, called the iPad Pro and the iPad mini 4, respectively. While the latter is nothing to write home about – it’s basically a smaller version of the popular iPad Air 2 – the former is sure different than what we’re used to seeing from Apple. To put it bluntly – the iPad Pro is huge. It boasts a massive 12.9” display with a resolution of 2732 x 2048 pixels (or as Tim Cook put it: 5.6 million pixels) which you’ll be able to use with the help of the newly introduced Apple Pencil (remember, the thing that Steve Jobs hated?). The Apple Pencil is a motion-sensing Stylus that will work hand-in-hand with a bunch of built-in apps, such as ProCreate (illustration and drawing) and YouMake. Another accessory that you will be able to purchase alongside your iPad Pro is a new Smart Keyboard, made of woven fabric that creates the structure of the keys. Aside from the massive display and interesting accessories, the iPad Pro also boasts a new A9x processor (Apple claims that it’s faster than 90% of most PCs out there), a four-speaker audio system (which will balance the frequency depending on how you are holding the iPad), and should offer a 10hr battery life. The iPad additions will become available in November. Sound the alarm, the newest Note and Edge are here! 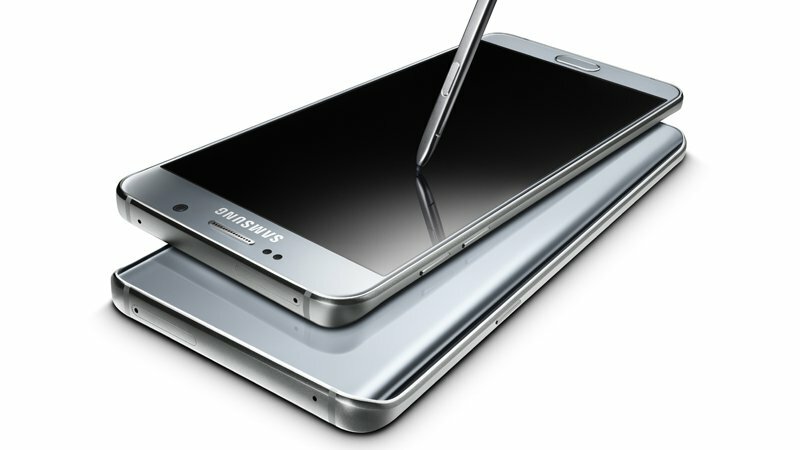 More specifically, the much-awaited Galaxy Note 5, the glassier and more metal successor of the typically plastic and fake leather-y Note line and the S6 Edge+, a large, beautiful phablet with the ever-so-popular curved display. They may look alike at first glance and while they share numerous features, they’re still very much distinct devices. Let’s see what makes them tick, shall we? 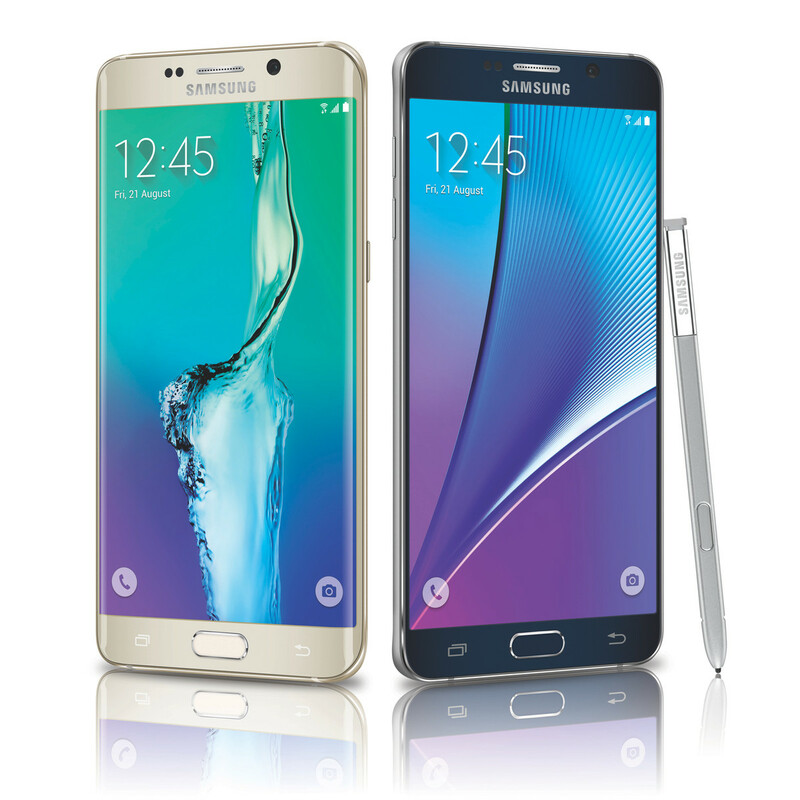 Galaxy Note 5 and S6 Edge Plus: How’s It Look? In one word: it looks phabulous. While they both sport a huge, bright 5.7-inch HD screen, the Note 5 interestingly smaller and slimmer than its predecessor at 153.2 x 76.1 x 7.6mm, whereas the S6 Edge+ is essentially a larger version of its closest sibling, the S6 Edge. The Note 5, naturally, includes the inescapable S-pen stylus, now with enhanced writing options. Overall, the design has been improved in such a way that the gigantic smartphone does not feel awkward in your hand—its curved make-up has made sure it’s rather easy to use and handle it. Also, it comes with a keyboard case which promises less typos and a clear view of the enormous screen at all times. Both devices are equipped with an Exynos 7420 octa-core 64-bit processor, 4GB of RAM and either 32, 64 or, apparently, even 128GB of storage. The cameras are unsurprisingly stellar with 16 and 5 megapixels and the option to shoot in 4K. The batteries, however, are still at 3,000mAh, which many have been wishing would be upgraded. Or that they’d at least make them removable. Perhaps next time. There’s always a next time with Samsung. The main novelty is the inclusion of the so-called fast wireless charging, which is exactly what it sounds like. Samsung prides itself on being the pioneer in this department as your battery can now go from zero to full in just two hours! With the S6 Edge+ there is another handy addition called Apps Edge—with a single swipe you can now access your favorite apps (and contacts). So, when can I get mine? The good news is you can already pre-order the phones if you’re in the USA and starting from August 21 the phablets will be in various stores near you.